The HTC One M8 Windows Phone is now available with mobile carrier T-Mobile, the company are offering the handset off contract for $585.60. You can also buy the HTC One M8 Windows smartphone over 24 months with T-Mobile, with $0 up front followed by 24 monthly payments of $24.40. The handset comes with Windows Phone 8.1 and it features a 5 inch Full HD display with a resolution of 1920 x 1080 pixels, the device also comes with a quad core 2.3GHz Snapdragon 801 processor and 2GB of RAM. 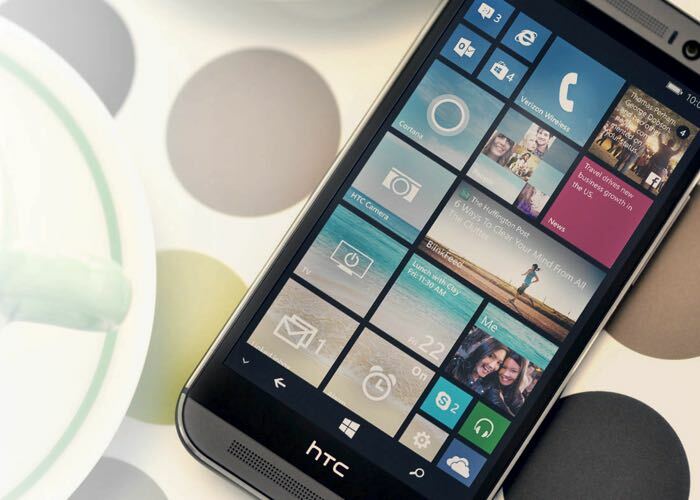 Other specifications on the Windows Phone version of the HTC One M8 include 32GB of storage built in storage, plus a microSD card slot which can take up to 128GB cards. The device features a front facing 5 megapixel camera and a dual HTC Ultrapixel camera on the back, it also comes with WiFi, GPS, Bluetooth, 4G LTE and HTC BoomSound.